As the city's name suggests, it is a city of several schools and institutions of higher learning from kindergarten to university level that learn side-by-side along with the scientists who research on psychic powers and higher technology, the latter being one of the primary reasons for its establishment. It is the most advanced city in the world and its technology is said to be 30 years ahead of what's 'outside' of Academy City. Academy City is composed of 23 districts, called School Districts which are simply numbered from one to twenty-three and each of these districts have a specific purpose. It is a semi-independent city led by the 12 members of the Board of Directors, which are then, supervised by its founder(s). The city was founded to do studies and research on the development of preternatural abilities. Where the city's funds comes from is probably from several different countries, even the military, that have high interest in psychic research. Also, the city has other bases of operations outside of Japan, but these are mostly just facilities for sensitive research or testing for individuals with psychic potential. According to rumors, the students in Academy City are just being used to further the research and development in the achievement of a Level 6. How truthful these words are remain to be seen, however its important to note that both the founder(s) and Board of Directors have allowed deaths of students, and have allowed and supported further experimentation and research at the expense of many lives. Located just west of Tokyo, it is apparently located in a region where there is a constant wind that flows within the city, allowing its wind turbines to generate power. Climate in Academy City is probably the same in Tokyo and other surrounding areas, though through its technological advances they are able to predict the weather much more accurately and can actually give schedules on when the weather might change. Academy City's total population is about 2.3 million with 80% of that being students and 1/8 of those students living in the city dorms. Of the entire student population, about 60% of them have the ability to demonstrate even a slight amount of psychic ability (these are Power Users of Levels 0-5). The remaining 20% of the students in Academy City pursue other subjects instead of going under the Power Curriculum Program. It is unknown if Child Errors are part of the 80% demographic since they are no longer given any support from their guardians. On the other hand, it is highly probable that drop-outs and gangs such as Skill-Out are part of the remaining 20% demographic. Academy City's technology is thirty years ahead of its time and thus, has accessibility to a more sophisticated array of technology to ensure security across the city. The city limits leading outside are lined with walls, accessible only through entry points which require people to have permission to enter or leave the premises. Inside the city, hidden cameras are dotted along every road and alleyway. 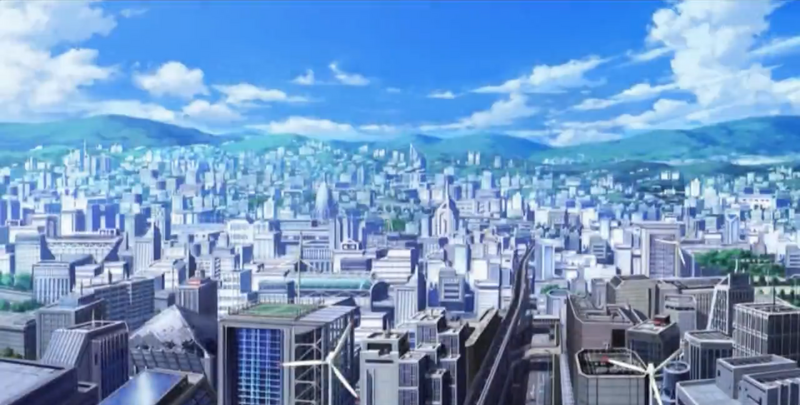 In addition to the ground-level security protocols in Academy City, the satellite Orihime 1 (where the Tree Diagram supercomputer is located) and Hikoboshi II (a camera satellite and also a satellite laser-cannon) gathers detailed pictures of the area and relays it back to Earth. The primary peacekeeping forces in Academy City are Judgment and Anti-Skill; these two groups are composed of trained students and faculty respectively which deal with crimes and conflicts with security. They are authorized to retrieve information from surveillance equipment within Academy City, to check if there are any crimes occurring, in addition to their constant patrol duties. Unfortunately, security in Academy City is known to have severe flaws in it. It is known that parts of District 10 of Academy City have been completely overrun by its inhabitants, unreachable by technology due to the Skill-Out members destroying the hidden cameras and security robots throughout the area.